Do you own a house or condo, townhouse or commercial property that requires care and expert supervision? Are you unable to provide the necessary maintenance to your vacation house or rental property because of geographic constraints? 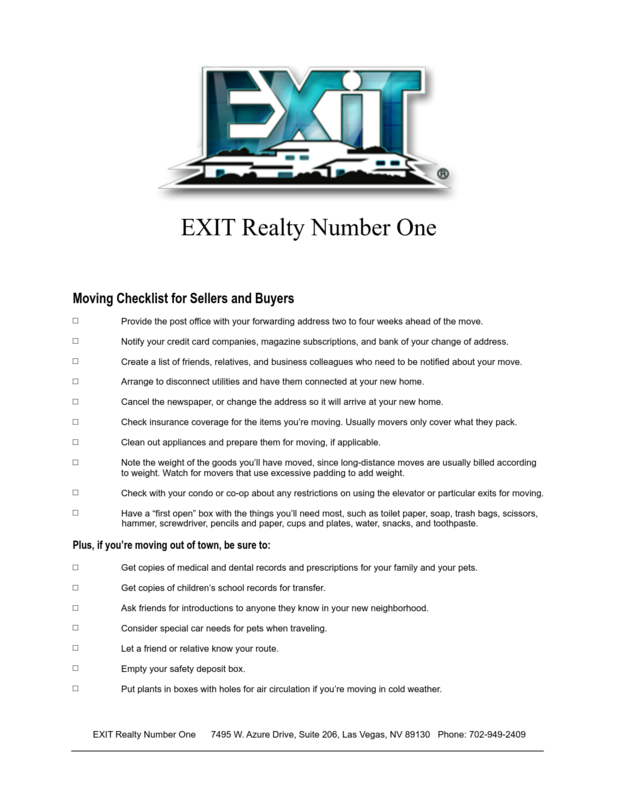 At EXIT Realty Number One Property Solution, we have the solution. We supply all the needs of Clark County, Las Vegas, North Las Vegas and Henderson, NV with residential and commercial property management and are ready to help provide your property with the care and attention it needs. EXIT Realty Number One Property Solution is comprised of a group of experienced property managers and staff who understand that your investment requires someone who can be there to fix things when they break and make sure the lawn gets watered and pools taken care of. We act as the liaisons between tenants and landlords and renters and contractors. If something breaks, we know who to call to fix it and when your tenants need to pay their rent, we’ll pick up the checks. We understand you can’t be in two places at once and seek to protect your investment by insuring that every aspect of your property is well maintained and cared for. EXIT Realty Number One Property Solution’s property management services extend their services to you.